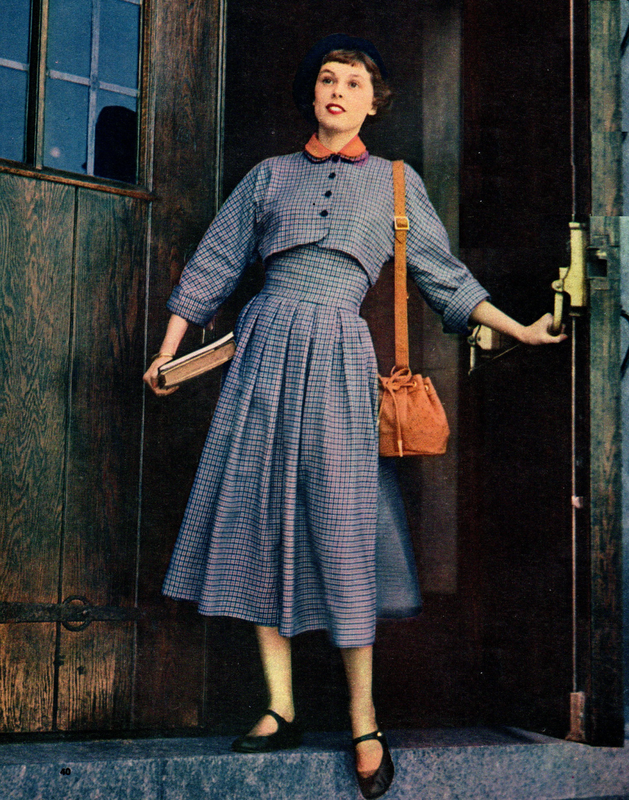 In an earlier post, we got to see a vintage collection back-to-school fashion from 1949 and Woman's Day magazine. 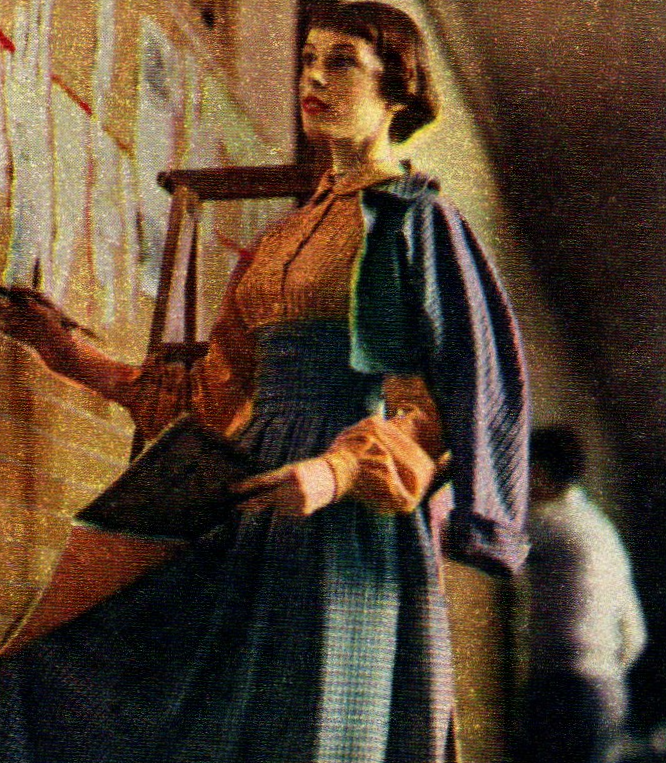 From that same source, today we get to look at the high school back-to-school fashion! 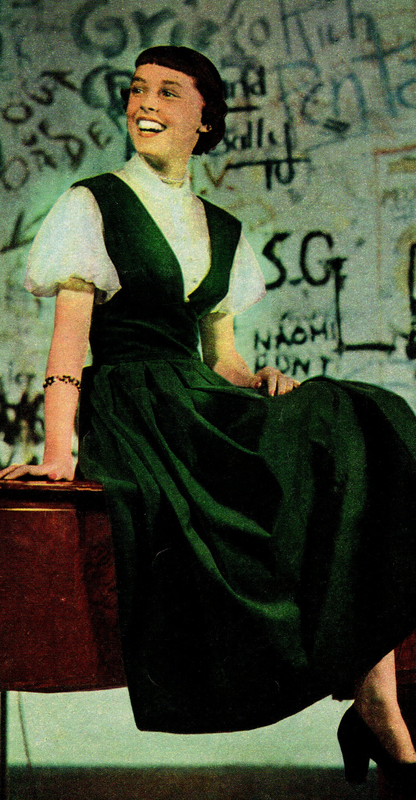 I am totally in love with this ensemble - love the blouse with its pin tucks and long bishop sleeves. And that skirt with the high waist - wow! Here it looks all together - tea length skirt with midriff-high waist, bolero, and blouse. This is a one-piece dress that combines the skirt and blouse, short puff sleeved version. 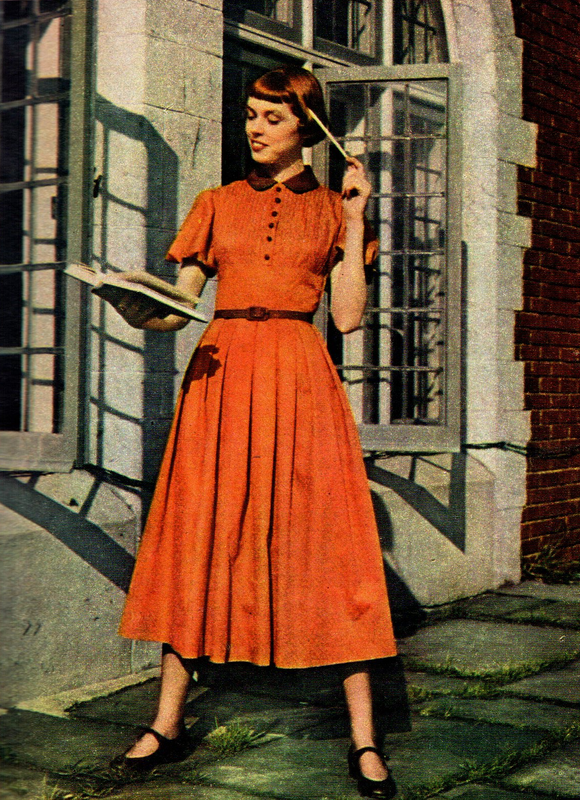 Here is a "date dress" in corduroy: Jumper with midriff, blouse with puff sleeves. Do her bangs look too short to you? And here is my favorite position - relaxed and reading a book! She looks so studious. 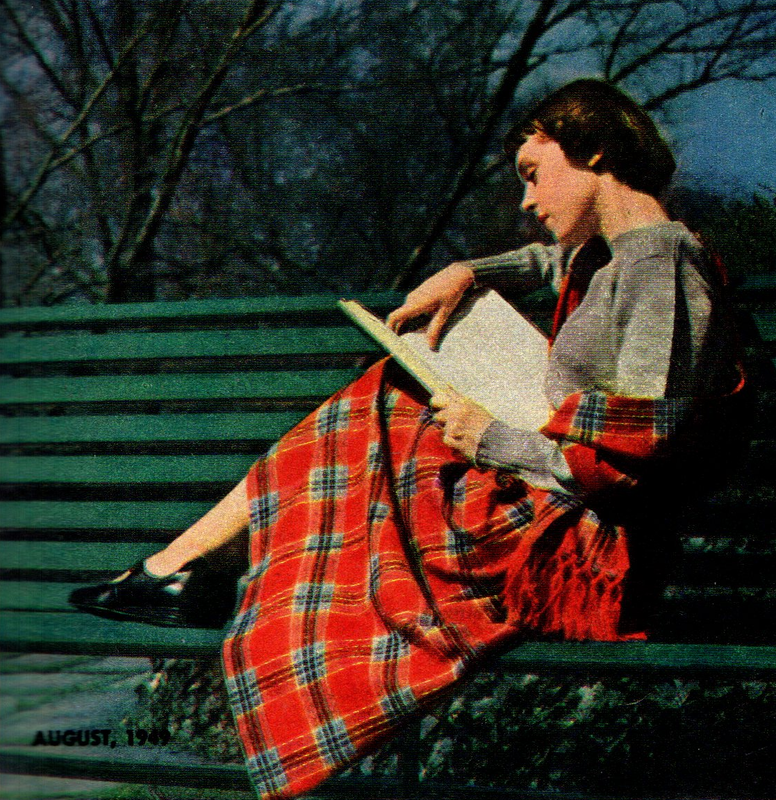 :) This plaid wool skirt and matching stole is perfect with a sweater. Love it! Those first two outfits in particular are gorgeous!